You are going to Watch Naruto Shippuden Episode 388 English subbed online free episodes with HQ / high quality. 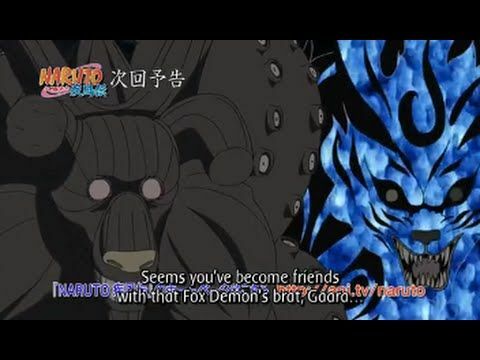 Stream Anime Naruto Shippuden Episode 388 Online English sub My First Friend. As Obito lies in defeat, he watches on as Naruto uses his Massive Rasenshuriken to weaken Madara enough for Hashirama to immobilize the Uchiha with Wood Dragons while siphoning his chakra. With Naruto throwing his attack, with Sai escorting him soon after, the Shinobi Alliance march towards Madara’s location to help in sealing him away. Meanwhile, Gaara asks Shukaku to aid in the sealing with the One-Tail only agreeing to prove his superiority over Kurama. As the sand-manipulating duo prepare to head out, Son Goku questions the young Kazekage if he is a friend of Naruto. As the tailed beasts begin to move towards the trapped Madara, Gaara recalls his painful childhood as a jinchuriki feared by his people and how that all changed when Naruto became his first friend.